Angela found her powder coater on none other than Google—”I found a large operation in my small city, so lucky!”—but FYI, the Powder Coating Institute has a handy search function as well. Only powder-coating can give you that supershiny, uniform wash of color. “Powder coating is such a durable finish for metal,” she explains. “The coating is heat-cured, resulting in a final product that is smooth and thick—spray painting doesn’t even compare. Powder coating is especially important for metal items used outside because of its durability.” And don’t worry, spray painting isn’t totally out of the picture. 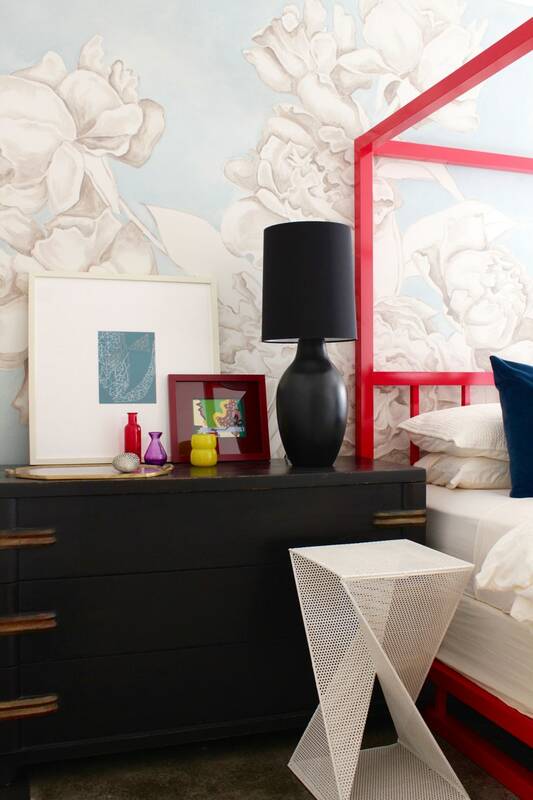 “I would still use spray paint for small non-metal, interior projects,” she says. A peek at Angela’s powder-coated bed frame. As Angela already said, stick with metal pieces. Other than that, pretty much anything is fair game. “I love to use powder coating to customize new and vintage items alike!” she notes. “Some of my favorite projects are our vintage guest room bed in red, our new aluminum kitchen chairs in blue, a yellow metal chandelier, and sink and shower faucets in neon pink.” Another idea: AD‘s executive digital director Keith Pollock powder-coated his old radiators with awesome results. “My local shop carries a limited selection of paint colors—I usually find something that works. There is a wider range of colors that can be custom-ordered, but it is usually more expensive,” says Angela. Point out any parts you don’t want powder-coated so they can mask those. Also, beware: If your item is especially dirty, they might need to sandblast it prior to powder-coating (this’ll cost extra). Timing will vary. “My experience with my shop has been as quick as a few days or up to two weeks if they are really busy,” she says. 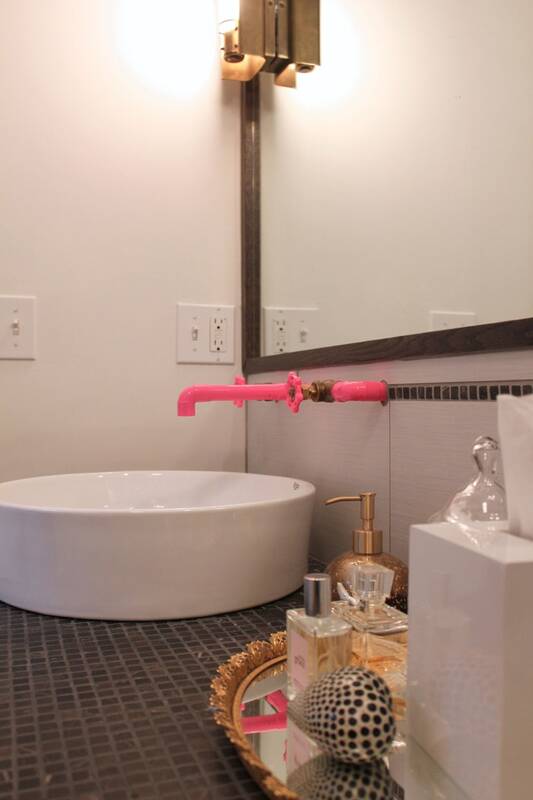 Yep, that hot-pink faucet is powder-coated. At AWC Industries, your one stop source for metal fabricating and finishing, all our powder coating is done using an Amiberica Conveyorized 5-Stage Wash System as well as a Nordson Electrostatic Spray Booth. This cutting edge powder coating technology allows us to offer applied finishes in virtually any color, texture, or gloss level. Using processes such as electrostatic spray, we apply coatings ranging from different forms of epoxies to urethanes. Our objective at AWC Industries is to provide you with fast and quality service to help you meet your production needs and get your products out to your customers! Contact us today for a quote on your next powder coating projects. We look forward to speaking with you!